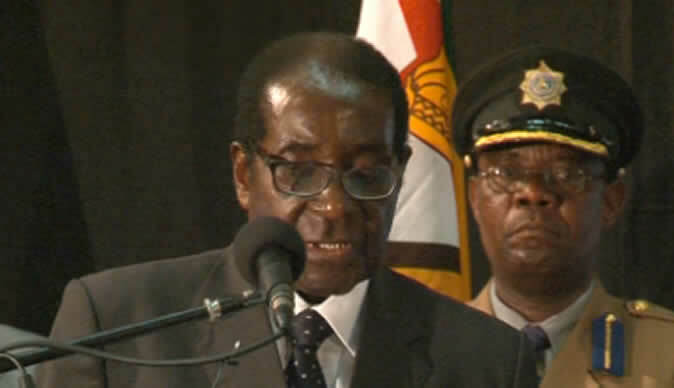 President Robert Mugabe has urged Zimbabweans to live together in harmony and to respect the sanctity of life. Addressing a luncheon in the city following the official opening of the 3rd session of the 8th Parliament today, the President said the government will soon come up with ways of stopping child rapes and marriages. The President Mugabe said he wants to protect women and children and that men must take care not to violate the rights of women and the girl child. President Mugabe also spoke strongly against land barons and the hefty packages that some company bosses are awarding themselves at the expense of the ordinary worker. “Baron, barons, barons. Don’t steal people’s land and money. Do to others what you want them to do to u. Do not steal and corruption is brutal to the nation,” he said. He added, “Top management posts – you peg hefty salaries, which l as the President can’t even ask for,” he chided. The President said people should continue to work hard in agriculture and industrial revival to encourage free trade.